How green is Apple: Good citizenship or good business? Like most electronics manufacturers, Apple doesn’t actuallly make its own products. That can make it hard to assess the environmental impact of its production processes. In the case of notebooks, for example, Apple—like Dell, HP, and virtually every other computer vendor, confusingly dubbed Original Equipment Manufacturers (OEMs)—designs its systems but then outsources the assembly to contract manufacturers, also known as original design manufacturers (ODMs). While most of these ODMs have headquarters in Taiwan, their factories are usually in mainland China, where labor costs are lower and environmental standards are lax. According to research analyst David Daoud of IDC (an analytical firm owned by Macworld parent company IDG), 95 percent of all laptops are manufactured in China, and 85 percent of those are produced by a handful of companies you’ve likely never heard of, including Quanta, Compal, Wistron, and Inventec. Most of the companies that supply these ODMs with their raw materials and components are also based in Asia. Apple’s Supplier Code of Conduct requires that its partners use environmentally responsible manufacturing processes. But how do Apple and other OEMs really know that contract manufacturers and their suppliers meet such requirements? How does an OEM know, for example, that the internal cables in its laptops are truly free of PVC, or that there’s no arsenic in the display glass? Watchdog groups say such claims are trustworthy. 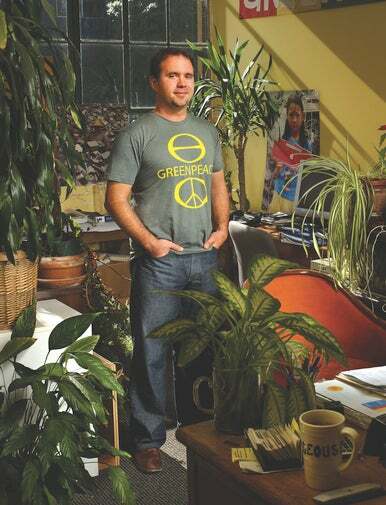 According to Greenpeace electronics and e-waste expert Casey Harrell, companies understand the potential for negative PR if they lie about their environmental policies. He confirms that both OEMs and contract manufacturers typically spot-check parts and processes along their supply chains, to make sure everything is in order. Global agencies like the European Union and Greenpeace do their own spot-checks, too, but not very many. “It’s a very expensive process for us to take apart a computer and do extensive testing on it,” Harrell says. So on this count, we have to—and, apparently, can—trust Apple. As for the toxic content of its products, observers say Apple’s claims that it’s cleaned up its act are also believable. Those claims are included in individual reports for each of its products. For example, according to the report on the 17-inch MacBook Pro (PDF), that notebook is free of BFRs, which are often added to plastics used in electronics and other products. BFRs, which can harm hormone and immune systems, pose the greatest risk when electronic devices containing them are produced or destroyed. That’s a problem when open piles of e-waste are burned—a common practice in Asia and Africa. Recent studies, including one by the Australian government, found BFRs in the dust that collects on DVD players, stereos, and other home electronic devices. The MacBook Pro is also free of PVCs. When created or burned, PVC releases dioxins, which can cause cancer and can damage immune and reproductive systems. And since PVC is often mixed with toxic chemicals that can evaporate, or off-gas (that’s where the famous new-car smell comes from), it’s a potential threat to consumers, too. Furthermore, Apple reports that the displays in the MacBook, MacBook Pro, and MacBook Air are free of mercury and arsenic. Its notebooks also now use a recyclable aluminum and glass enclosure, mercury-free LED backlights, and a power-stingy design that uses a fraction of the power that a 60-watt light bulb uses. Apple has also significantly reduced the PVC and BFR content of its desktop computers, too. And the company Apple is also making its iPods and iPhones greener: the headphones, USB cord, and internal wiring of the iPhone 3G, for example, are all free of PVC. And Apple has reduced the size of its packaging (much of which is made from recycled material) across its product lines, conserving on manufacturing and reducing packages' shipping weights. “Apple is a leader in consumer electronics, in the phase-out of toxic PVC and brominated flame retardants,” acknowledges Harrell. That tight-lipped attitude doesn’t sit well with other watchdog groups like Ceres, a coalition of environmentalists and investors that urges companies to adopt greener practices. In a 2008 report rating technology companies’ climate-change strategies (PDF), Ceres gave Apple a score of 28 on a 100-point scale. By comparison, Dell earned a 77; HP, a 62. The Ceres report acknowledged Apple’s efforts to remove toxic chemicals from its products, but knocked the company for not releasing more details about its "carbon footprint," the amount of greenhouse gases that it generates in regular operations. The companies that scored higher in the study “choose to make public an overall emissions footprint for their operation,” says research analyst Megan Good, one of the report’s authors, “and Apple hasn’t done that.” In addition, Apple hadn’t set up a specific executive committee or a task force to address climate issues, which many of those other companies have done. Apple counters that it does indeed break down its emissions by facility (PDF), and that other reports available on its environmental page detail the company’s energy and water usage, as well as its transportation, waste, and recycling programs. It also documents greenhouse-gas emissions created at each stage of its products’ lifecycles, including manufacturing, transportation, consumer usage, and recycling. We contacted Ceres again, to see it had reexamined Apple’s policies since it published its 2008 report; the group says it had not. How green is Apple: Where does the e-waste go?